HomeAbout The Eye Center of ColoradoMichael L. Miller, M.D. Michael L. Miller, M.D. is a Board Certified Ophthalmologist at The Eye Center. Dr. Miller received his Medical Degree from McGill University in Montreal, Canada. He completed his residency in Ophthalmology at Pennsylvania State University College of Medicine. In addition, he completed a Fellowship in diagnosis and treatment of Medical Retina eye disease at Moorfield’s Eye Hospital in London, England. 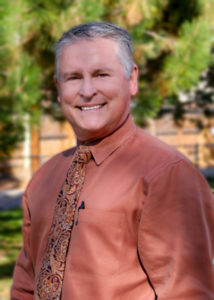 Dr. Miller joined The Eye Center in Denver in 1996. He continuously provides the full scope of General Ophthalmology, state-of-the-art cataract surgery, diagnosis and treatment of diabetic eye disease, LASIK, diagnosis and treatment of glaucoma, as well as the diagnosis of macular degeneration. Dr. Miller is a Fellow of the American Academy of Ophthalmology and is also certified by the American Board of Ophthalmology. Further, he is a member of the Colorado Society of Eye Physicians and Surgeons, the American Society of Cataract and Refractive Surgery, the Denver Medical Society and the Arapahoe Medical Society. He is a past president of the Colorado Society of Eye Physicians and Surgeons. He also represented that society in Washington, D.C. for several years, concerning health care issues. Dr. Miller is also the immediate past chief of ophthalmology at Porter and Swedish Hospitals. On a personal note, Dr. Miller enjoys skiing and traveling with his wife, Susan and their son, Jack. His special interest in photography is illustrated by a number of his photographs displayed throughout the office of The Eye Center.